Now your favourite YouTubers are officially good enough to eat! 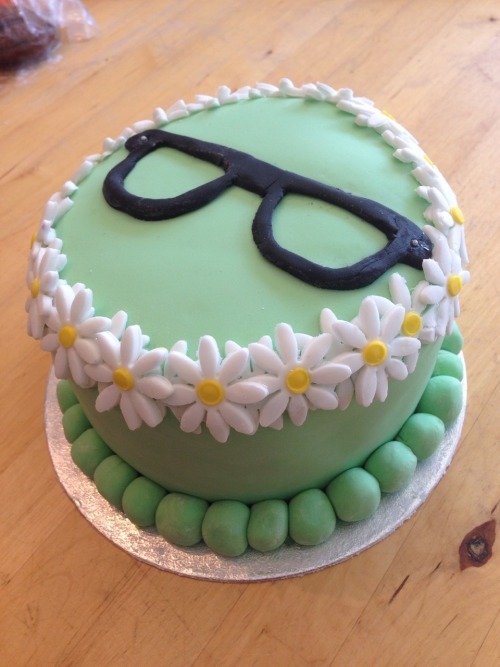 What better way to celebrate a birthday with an amazing cake based on your fave YouTuber. We are so jealous of all the lucky people that got to devour these cakes that are almost to good eat, on their birthdays. We can only dream of what it would be like to take a bite of Joe Sugg's sugary head. There are so many stunning Zoella cakes out there that is was hard to choose a favourite. This cake sums up Zoella so well- pastel colours, coral, polka dots and guinea pigs. Alongside one her famous mottoes and of course her eye motif. 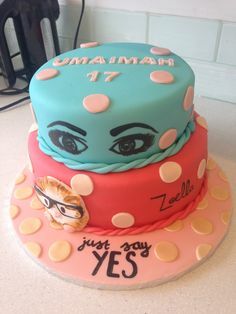 Imagine receiving this cake AND the Zoella Beauty range, so Instagrammable. 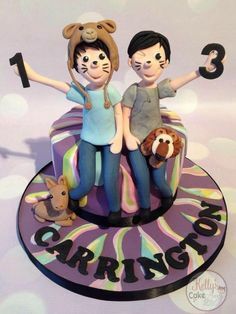 A cake that the Phandom can truly appreciate as their are SO many references in just one cake. This cake is on point. Dan and Phil look great and the whiskers come from within. This more simplistic design has resulted in a beautiful design that we think everyone can appreciate. Using one of Tyler's favourite colours mint green as a base. We all know that Tyler can rock a flower crown and loves floral home decor so the daisies are a perfect choice and to top it off an outline of glasses that is now infamous with Mr Oakley. This cake is perfection. The beard, the headphones, the references, this cake is all kinds of incredible. Especially the smarties that are surrounding pewsds. Ombre cakes (especially when they are in these mesmerising mermaid tones) have been huge in the past year thanks to Pinterest. How can you make an ombre cake EVEN better? 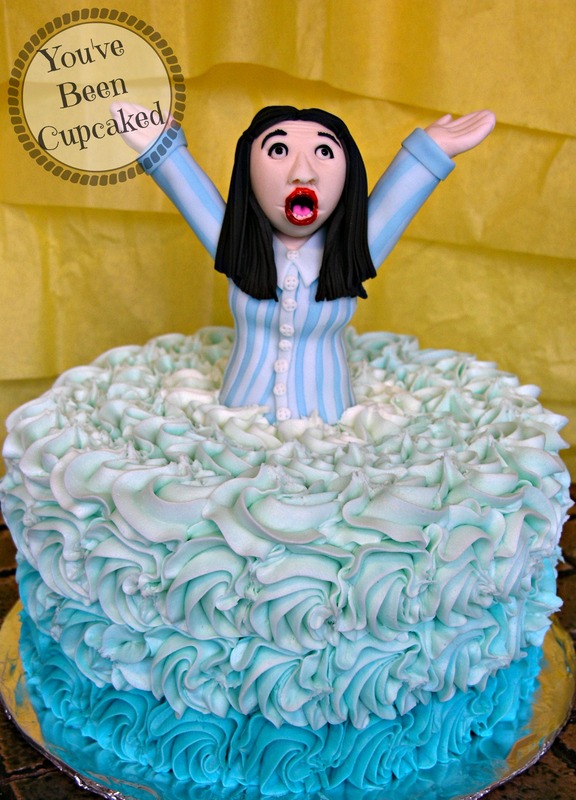 Add a Miranda sings popping out of it of course. Did this one make you do a double take? Yes this is actually a cake and not a copy of The Pointless book. The resemblance of Alfie's first book is incredible. Top marks! We are very impressed with how spot on they got Joe Sugg's dreamy side parted hair line. Have you ever had a cake inspired by your favourite YouTube?